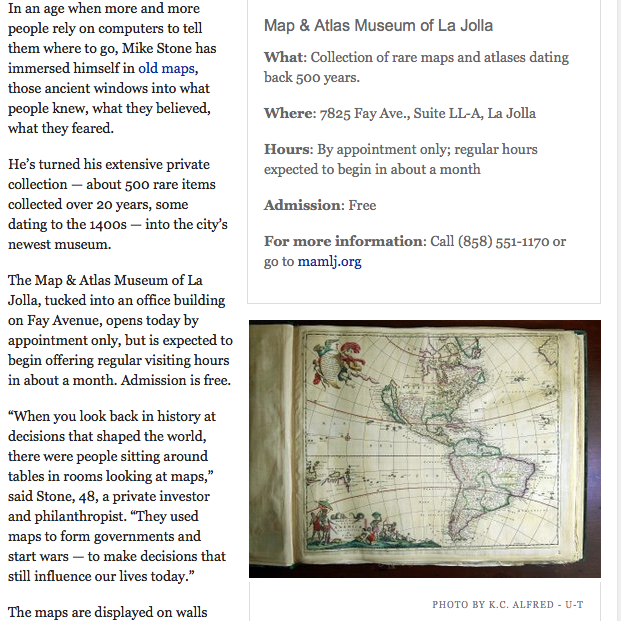 Reason enough for a trip to La Jolla. Previous post: It’s always a party down at the Poisoned Pen Bookstore. 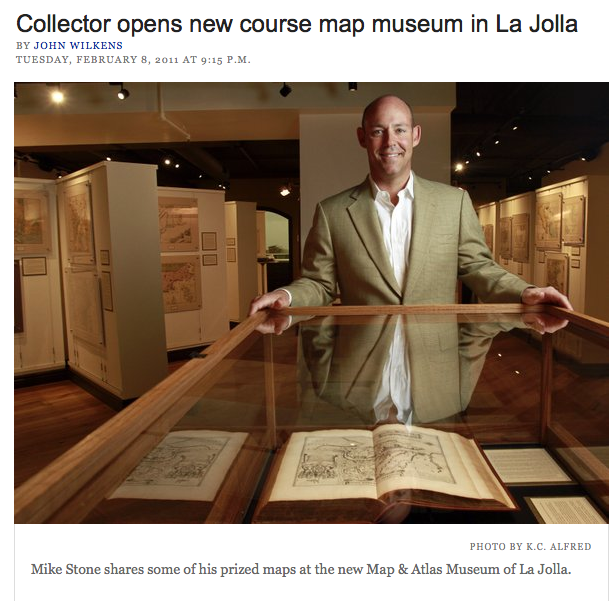 Guy opens a map museum in La Jolla, California, based on his own personal collection of old maps. The next time I’m within spitting distance of SoCal, I am so there. I’d love to see this map collection. As a kid, I remember seeing old maps – probably in our World Book Encyclopedias – that included the monsters at the edge of the known universe, and trying to imagine not knowing so much of what we take for granted. I save maps from all my travels. There’s so much to be learned from a “picture” of the world that won’t be learned from using GPS only to get from point A to point B.